Over a period of 18 years, researchers have been conducting a study involving nearly 9000 men. This study has compared things including muscular strength in the upper body and legs, to the chances of dying from any cause – particularly cancer or heart disease. It has been suggested that being strong may result in a longer life, as muscle strength seems to protect against cancer and all combined causes of death. Poor muscle strength in the male participants was associated with being unhealthy, but when they tested for things like high cholesterol, fatness, smoking and blood pressure, muscle strength protected the body. 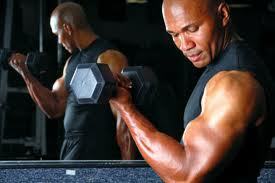 Muscles can change the way that insulin works, and insulin may affect how cells in the body grow. A greater muscle mass also means that more calories are burned at rest, giving some protection against weight gain which is known to be cancer associated. Researchers aren’t exactly sure why this association between muscle strength and cancer protection might exist, but it sure is a good reason to incorporate some more resistance training into our exercise schedule.